(1) The effects of the behaviour of the joints on the distribution of internal forces and moments within a structure, and on the overall deformations of the structure, should generally be taken into account, but where these effects are sufficiently small they may be neglected. - semi-continuous, in which the behaviour of the joint needs to be taken into account in the analysis. (3) The appropriate type of joint model should be determined from Table 5.1, depending on the classification of the joint and on the chosen method of analysis. (4) The design moment-rotation characteristic of a joint used in the analysis may be simplified by adopting any appropriate curve, including a linearised approximation (e.g. bi-linear or tri-linear), provided that the approximate curve lies wholly below the design moment-rotation characteristic. (1) The joints should be classified according to their rotational stiffness, see 5.2.2. (2) The joints shall have sufficient strength to transmit the forces and moments acting at the joints resulting from the analysis. 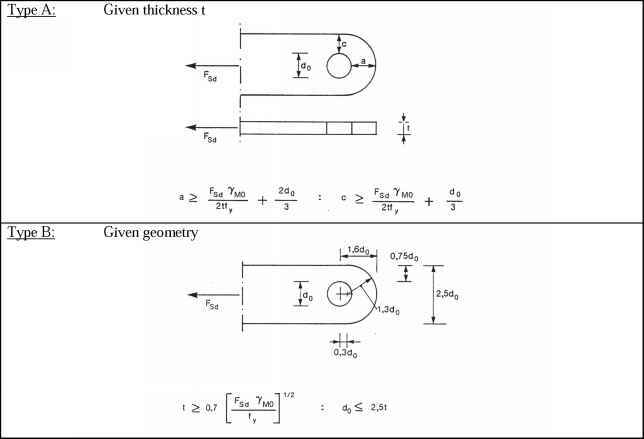 (3) In the case of a semi-rigid joint, the rotational stiffness Tj corresponding to the bending moment Mj,Ed should generally be used in the analysis. If Mj,Ed does not exceed 2/3 Mj,Rd the initial rotational stiffness Tj,ini may be taken in the global analysis, see Figure 5.1(a). (4) As a simplification to 5.1.2(3), the rotational stiffness may be taken as SiM/tj in the analysis, for all values of the moment M^ea , as shown in Figure 5.1(b), where // is the stiffness modification coefficient from Table 5.2. (5) For joints connecting H or I sections Tj is given in 6.3.1.